Is Beer Good for Your Skin? For a while, beer had been used as part of the products and remedies which can be very beneficial to improving the look of hair and the skin. Long before most modern beers came about, it was found out that the ingredients that go into beer are very good when it comes to making the skin both beautiful and supple. If you need a remedy that does not have chemicals that may have side effects on your skin, look no further than beer in its various forms. 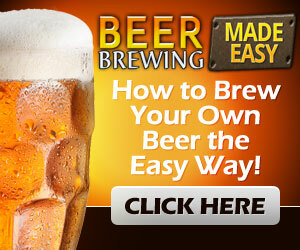 The good news with beer is that you do not need to use any expensive compounds to make the required remedies. Here, we give reasons as to why beer is the best for your skin. 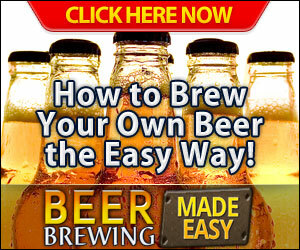 Beer can be used on its own or in combination with other items to clean the skin. It will then work by removing the dead cells and other items in the skin. In this way, it will free the pores of the skin to remove any further substances that exist in the skin. Most people do not know that the look and feel of the skin is determined by the amount of unwanted substances in it. When one uses beer to clean the skin, the skin is left fresh and supple to avoid any unwanted chemicals. Beer has antibacterial and antifungal properties which clean the skin by killing the bacteria and other microorganisms on the skin. Skin diseases such as dandruff are as a result of having yeast on the skin. This yeast can be easily killed when beer is applied on the skin. For the most part, the properties in the beer work better than other substances need which are both expensive and hard to find. With the skin being easily affected by the bacteria and yeast, beer is a remedy people highly consider for their skin care. The water and vitamins in the beer provide the very much needed hydrating of the skin. The skin will easily develop wrinkles and a bad look when it has too little water in it. Beer is a drink made largely of water and thus its application to the skin and drinking it will solve the problem of poor hydration of the skin and the body as a whole. With the skin always hydrated, it will remain supple and thus make it easy to clean and heal wounds. Ever had dried skin that has been removed and you are trying to heal back the area damaged? It is difficult to do so. However, if you have enough beer and apply some to the skin, you are on the safe side. Besides the killing of bacteria and fungi from the skin, beer also provides water which goes a long way in keeping the skin free of toxins. The water removes the toxins from the skin by dissolving it. Better yet, beer has been proven to help remove kidney stones thus making it possible to remove more toxins. The kidney is the organ of the body tasked with the removal of the toxins in the body through urine. If they are not working well due to having kidney stones, then the toxins will remain in the body. For this reason, beer is the best solution to do so without needing a doctor. Acne affects a lot of people all over the world. When the acne is disturbed due to the clogging of the pores of the skin, it will rupture and cause pain and a bad look. When beer is used to clean the face, it kills the bacteria and other organisms that may trigger the acne and make it rupture. Better still, it will remove the excess sebum and other oils that clog the pores of the skin and trigger the acne. Beer, unlike other substances, will not be painful when applied. Most disinfectant substances are characterized by a pinch when applied. The pH level is the level of acidity and alkalinity of the skin. When the skin is too acidic, it will kill the skin cells and give you an old look. The same thing will happen when the skin it too alkaline. 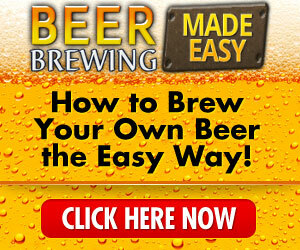 When beer is applied, it will ensure the skin’s pH level is kept within the normal parameters. Most skin profits people use may have too much acid or too much base. With beer being almost neutral on the acidity and basicity scale, it will restore any deviations in the pH level. This aspect makes it very supple and rife for healing and having a youthful look. The beer we drink has pantothenic acid and vitamin B complexes which make it the best in keeping the skin elastic. An inelastic skin will be characterized by wrinkles and other dead cells with the joints having excessive skin. Also, when the skin is inelastic, it will have excessive dead cells which form scab and black spots that mess up the look of your skin. If you want great skin without all the complex beauty products, find some of the common beer remedies that will help keep your skin looking young and free of diseases. For most people, beer is just a drink but it is full of important elements that help the skin.